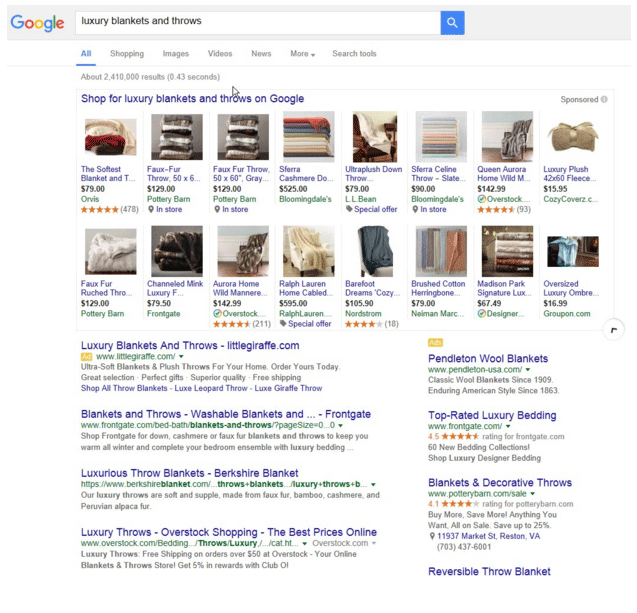 Google is testing, according to Channel Advisor up to 16 product listing ads on a single search results page. At first, you may be presented with five product listing ads, but when you click an arrow to expand, it will jump up to 16 ads. To see the whole process on how to expand the ads, see the Channel Advisor blog but wow is that a lot of ads on a single search results page.